Location – Much of Jersey is on the rise, but that doesn't mean all areas are affected equally. Areas around New York City and the suburbs surrounding it are probably the biggest hub of an up-and-coming economy—and a real estate market with it. For those who want to live a bit outside of the hubbub, but near enough to have relatively easy access, areas like Edison and South Plainfield are always a good option. No matter where you look for luxury townhomes in NJ, make sure that the immediate neighborhood, and not just the overall community, suits your taste. Quality everything – It would be easy to add a dozen items to a "must have" list: quality construction, quality floors, quality fixtures… the list goes on. The reality is that if a townhome is being marketed as a "luxury" property, then it needs to shine in just about every department. Everything should be made of quality materials that will last for many years to come, and survive some normal wear and tear. Likewise, it should all be stylish – and that includes the furnishings, as well as the unified whole. Privacy – This is a huge thing that many people don't think about when gawking over the giant bathrooms or the open kitchen. Your townhome will be joined at one or both sides to your neighbors' homes. How much privacy do you have? How soundproof is it? Has landscaping been used to give you a privacy screen in your yard? It's worthwhile to talk to neighbors and ask if they've ever had noise problems and how well they can hear TVs, music, and conversations that aren't theirs. Attractive surroundings – The best luxury townhomes in NJ aren't just luxurious inside, but gorgeous on the outside. How well have the yards been landscaped? What is the view like? And what do you think of the surrounding buildings and streets? Is the building stylish and well-designed? You shouldn't come home to a place that's labeled "luxury" and not want to look out of the window. 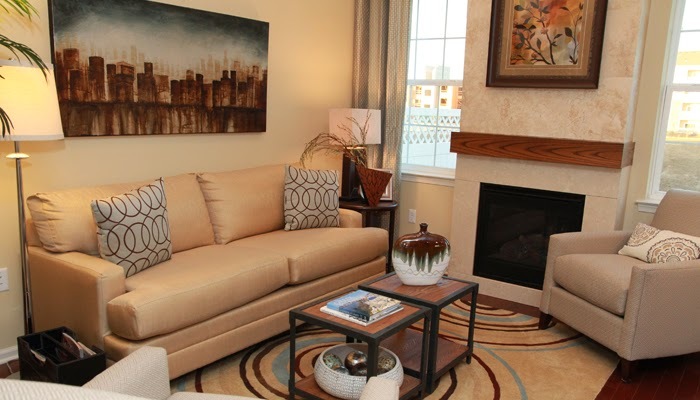 What else do you look for in luxury townhomes in NJ? I love the layout of your living room. It definitely has a finer quality feel to it. My wife and I have been looking for a luxury home to rent. We just want to be able to fully relax when we are on vacation. Design very nice and luxury! Cool! Thanks for your share! i love your design of living room! thank you for your share! Hi!, thanks for sharing these super cool pictures. Cheers! This design is really amazing. I wanna try this type of design for my house. Thanks a lot for this amazing share. What Do Landlords look for in Lessees?